Located within easy access to the central business area and Government offices, this 195-room-hotel offers business and leisure travellers’ exceptional convenience. The hotel’s stylish sophistication and classic, contemporary design combined with discreet service provides an uncomplicated approach to giving guests a memorable experience. 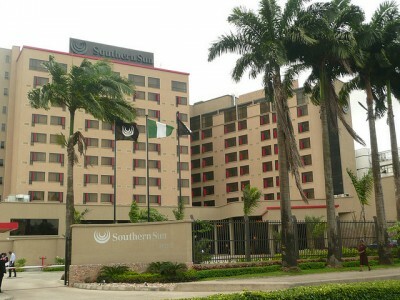 A warm welcome greets guests to Southern Sun Ikoyi, Lagos in the bustling city centre of Lagos, Nigeria. Located within easy access to the central business area and Government offices, this hotel offers business and leisure travellers’ exceptional convenience. Tastefully decorated rooms offer spacious living areas fitted with all modern amenities one may require to feel at home. Featuring a pool and fitness centre with sauna and steam rooms, the hotel caters to traveller comfort on every level. Guests can also make use of the comprehensive Business Centre, executive lounge, banqueting and meeting facilities available. Dining at Southern Sun Ikoyi is a special occasion with an extensive menu complemented by a fine selection of international wines. Casual lunches and light dinners can be enjoyed on the outside terrace while the stylish cocktail bar is the ideal spot for meeting colleagues and friends. This entry was posted in Hotels by MetroChief. Bookmark the permalink. If you have any first hand experience with this place, kindly write a review below.